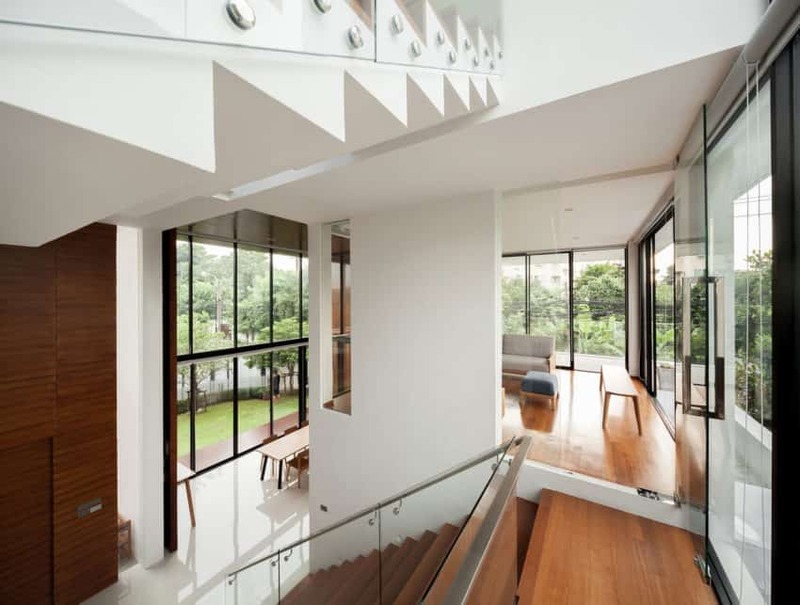 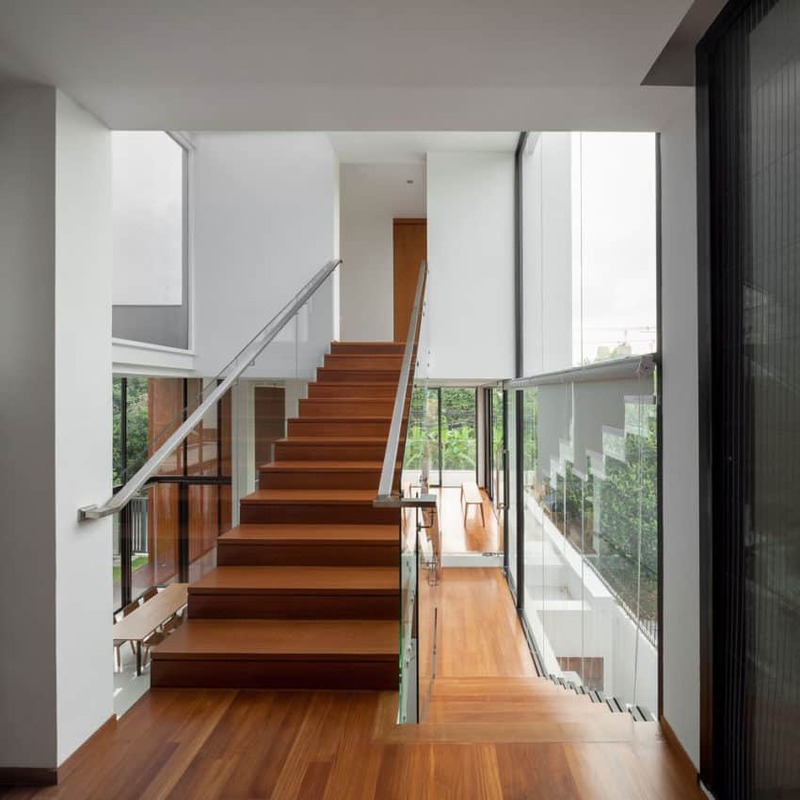 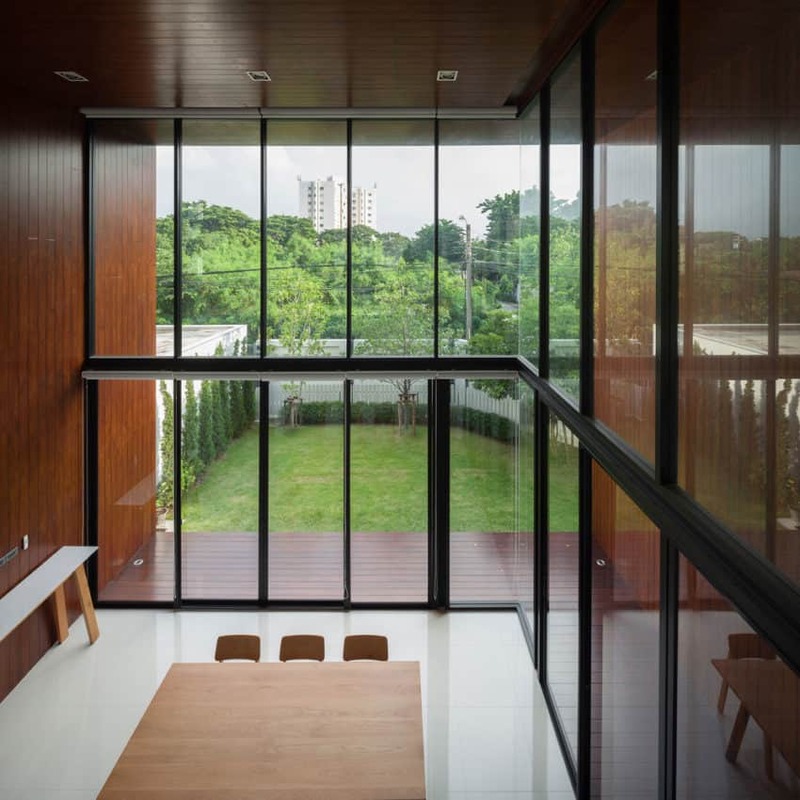 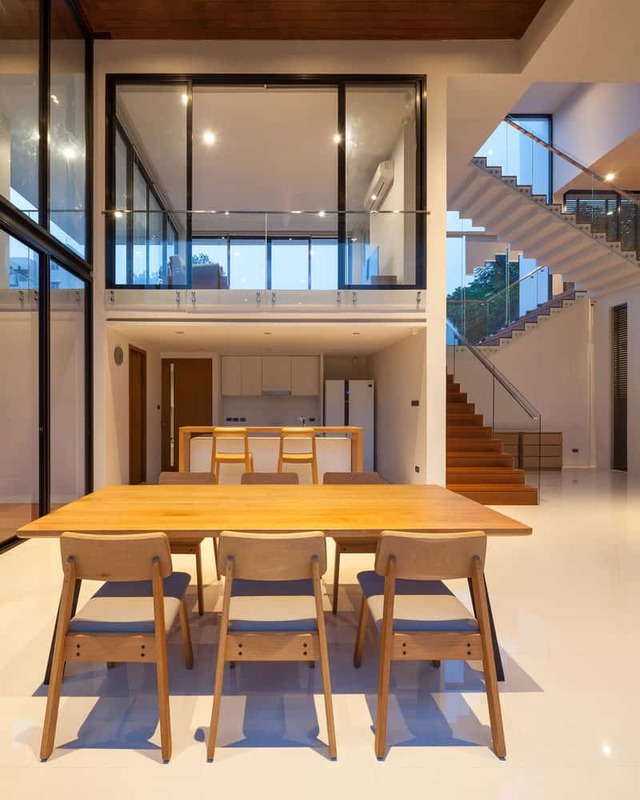 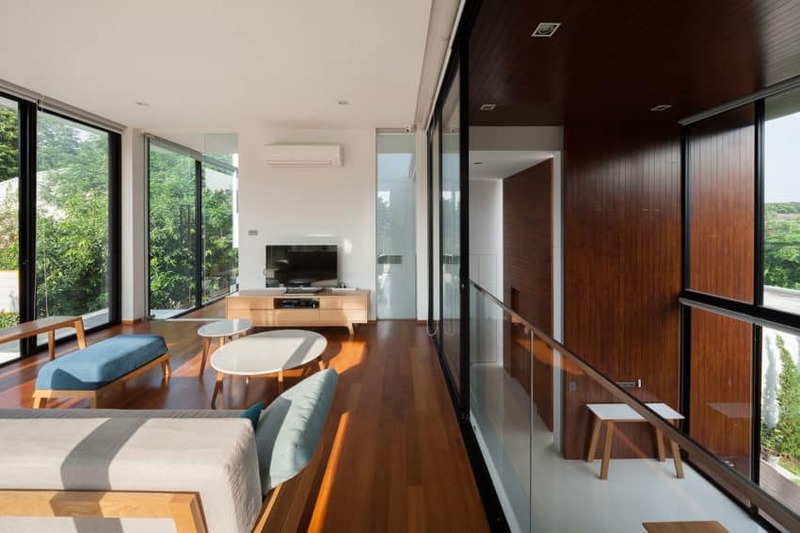 This wonderful house with ample spaces filled with light and good taste has been designed by Jeravej Hongsakul, Eakgaluk Sirijariyawat, and Rubporn Sookatub, who form part of the team at the architectural studio IDIN Architects. 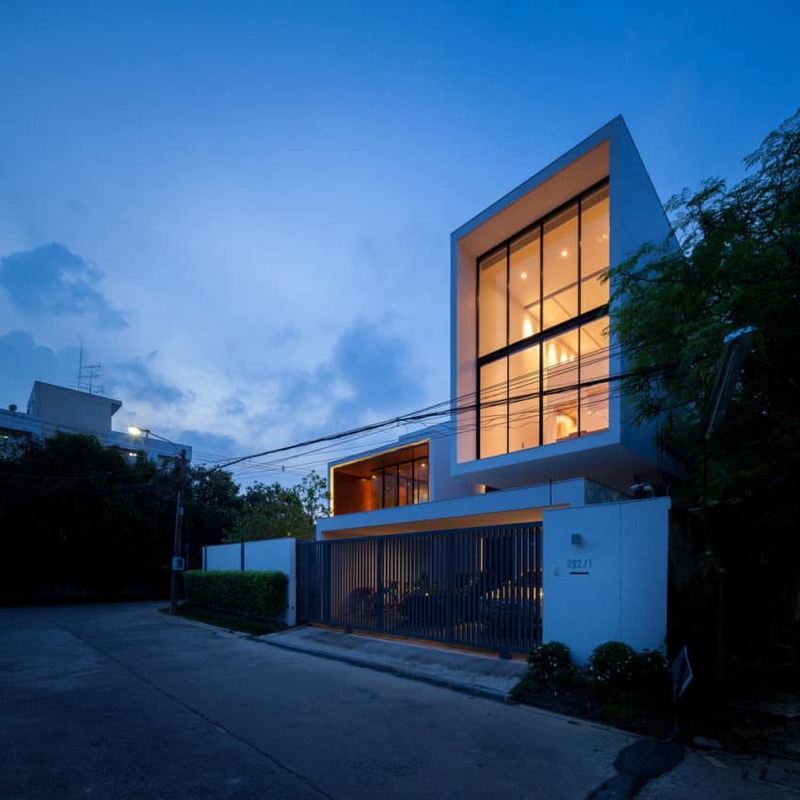 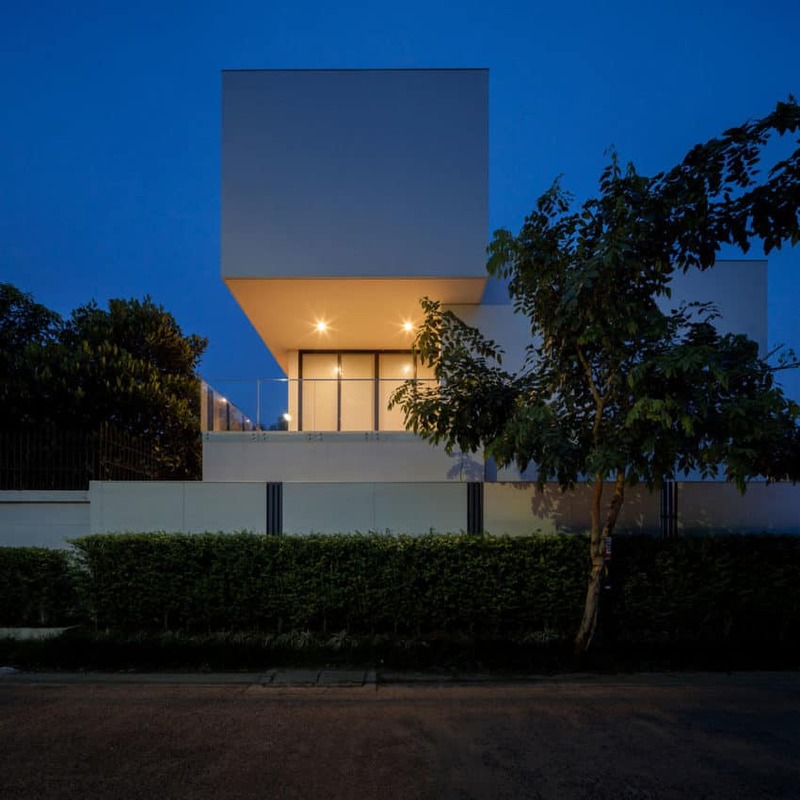 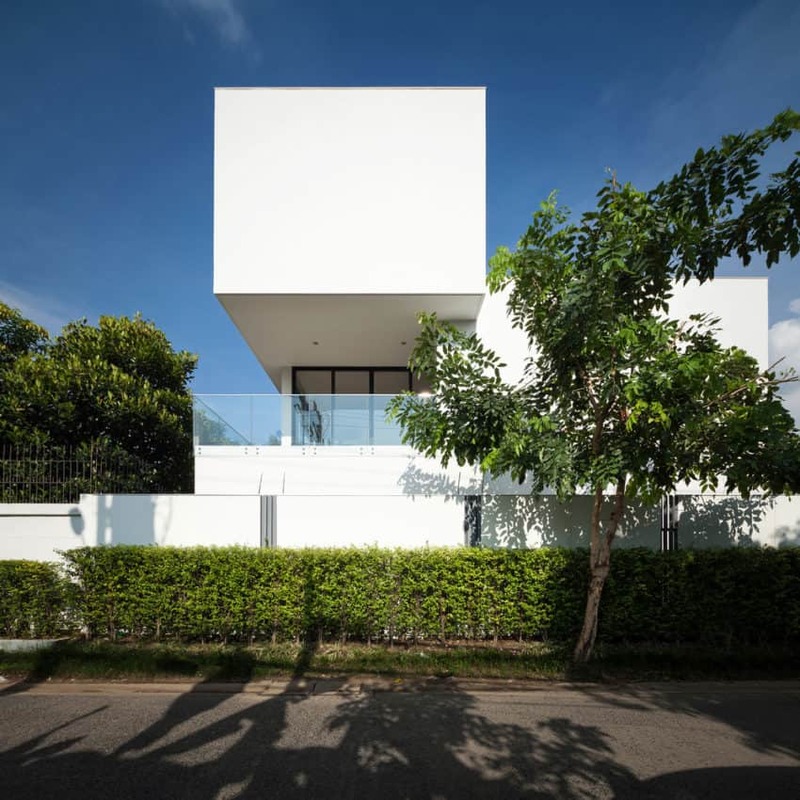 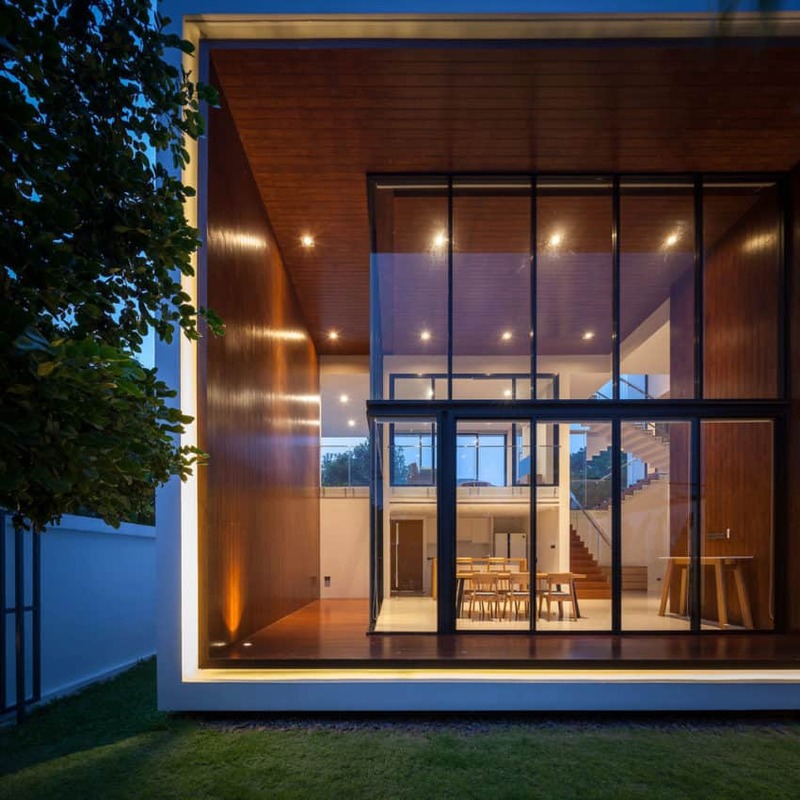 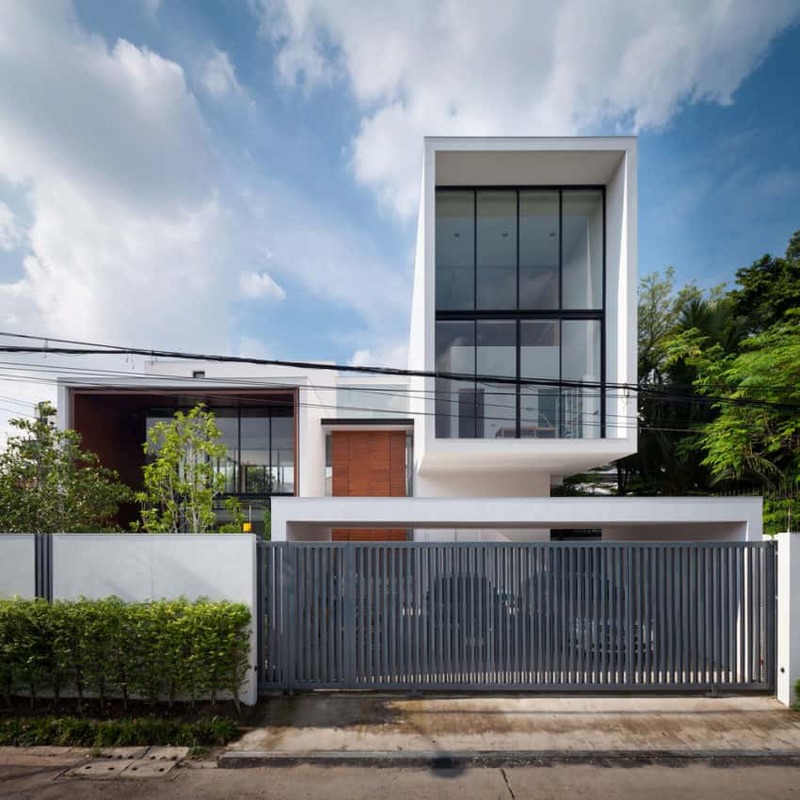 The home is located in Bangkok, Thailand, and was completed in 2014. 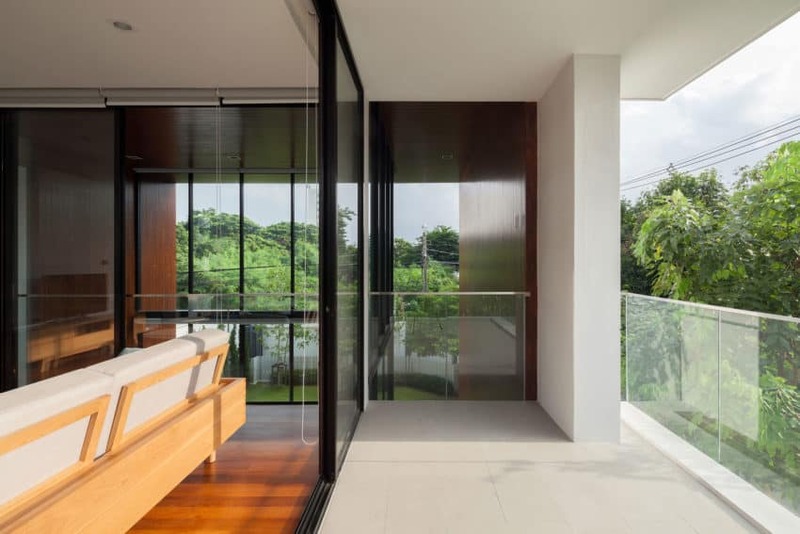 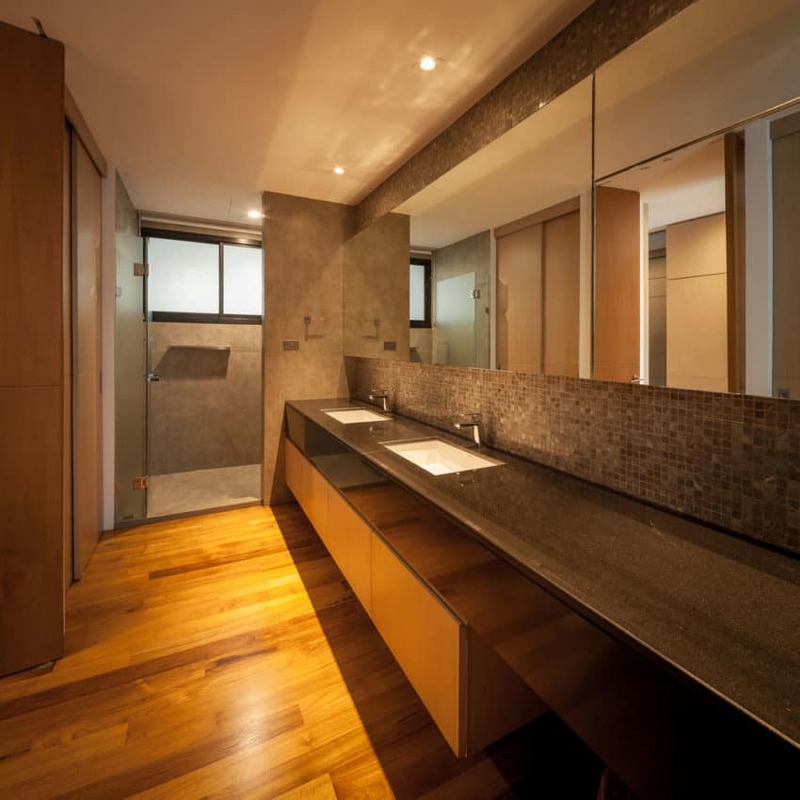 It covers 470 square meters, in which wonderful environments have been created, dominated by wood, glass, and a great influence of white, creating a decorative contrast that is simply spectacular. 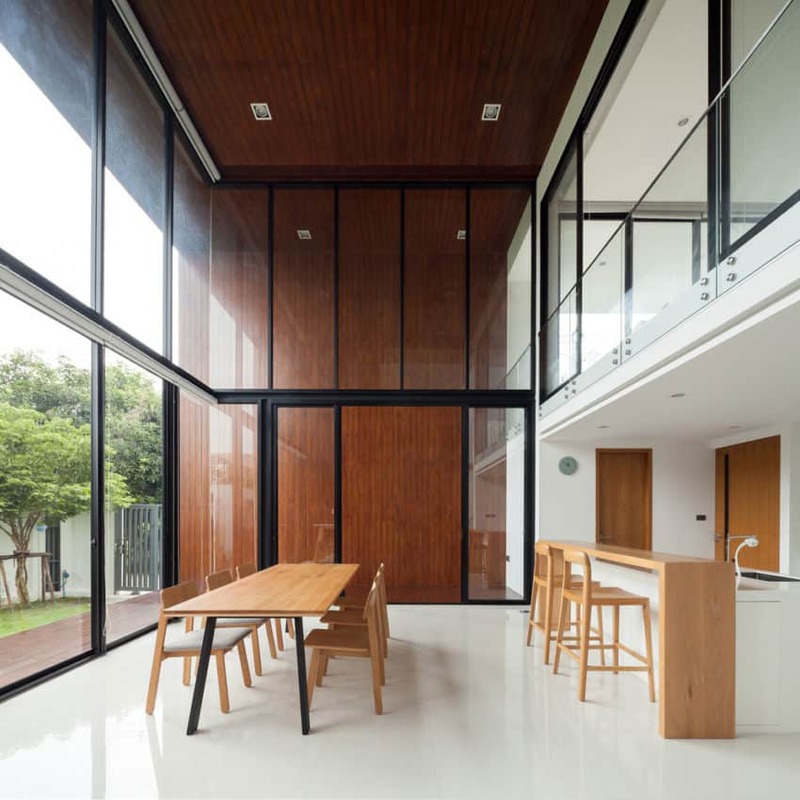 The main common area of ​​this house is the dining room, which can also be used as a work area. 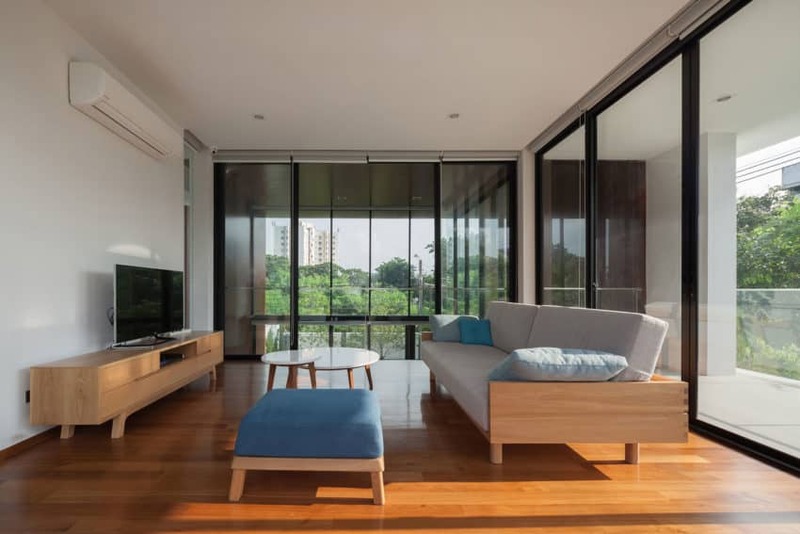 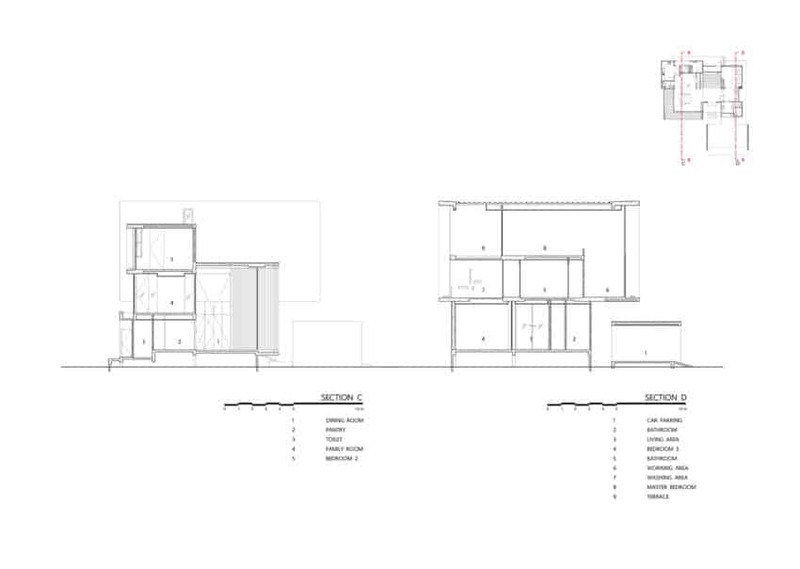 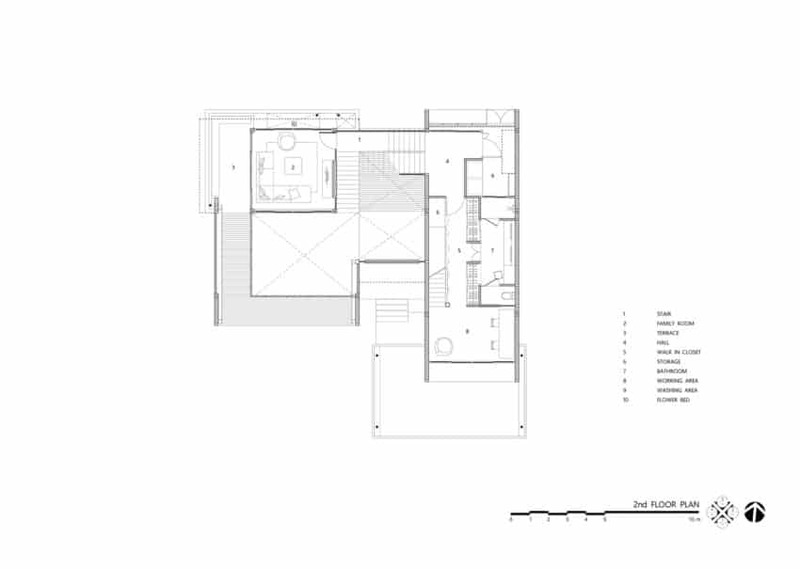 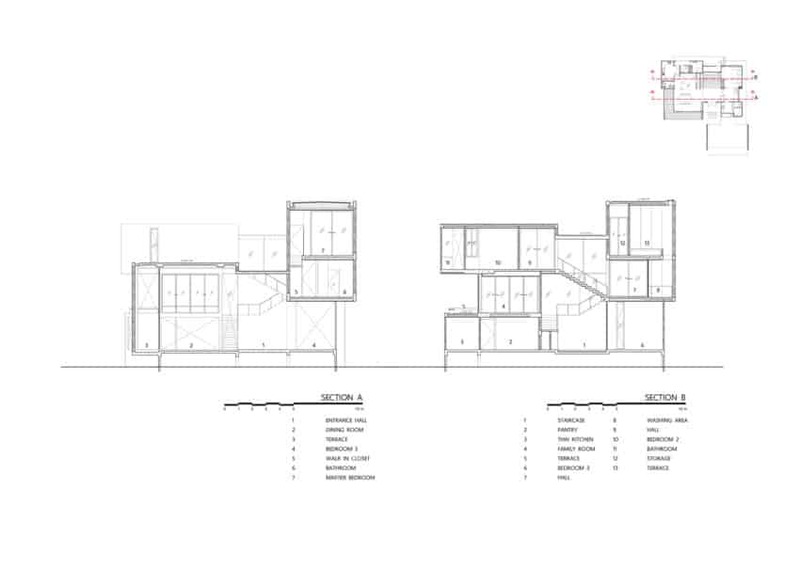 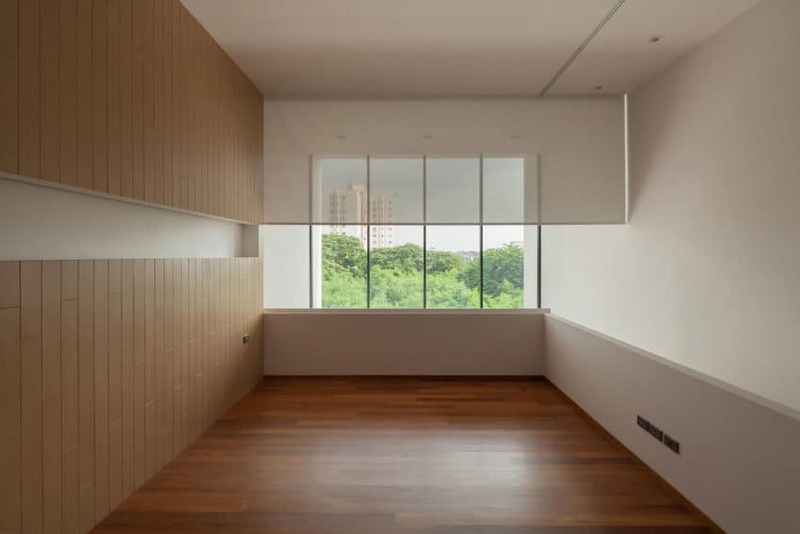 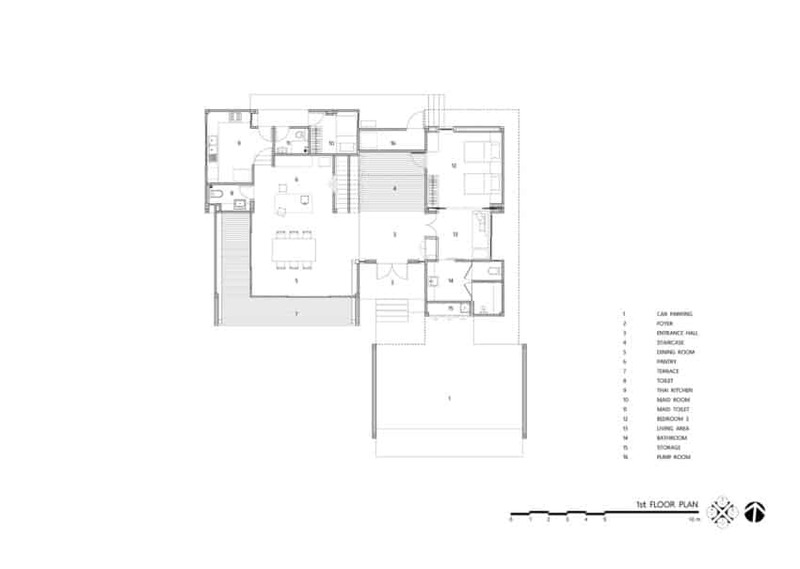 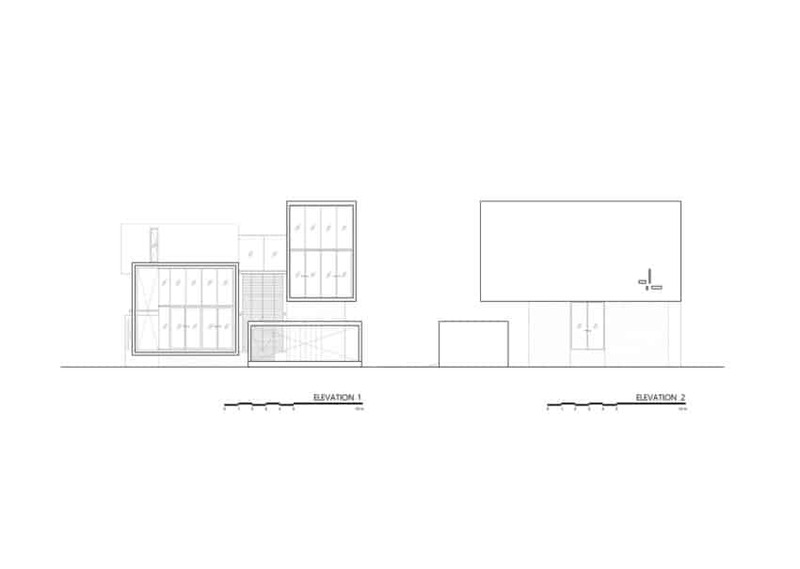 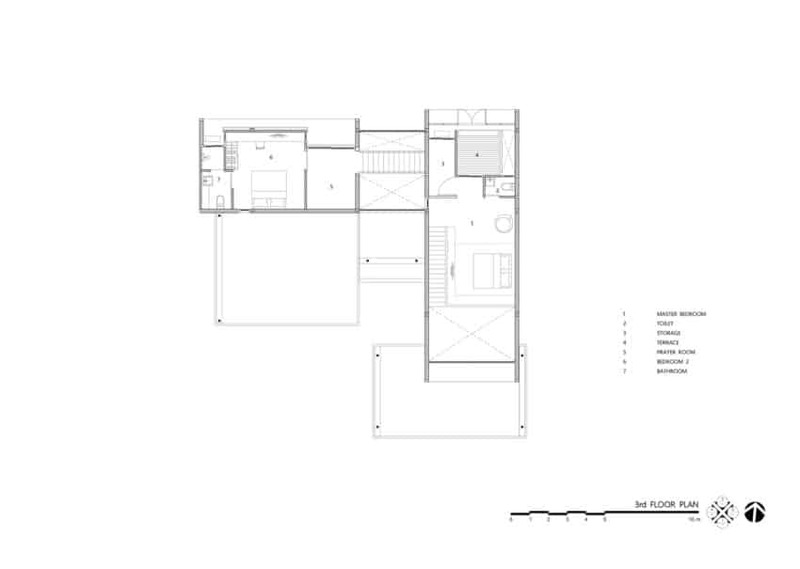 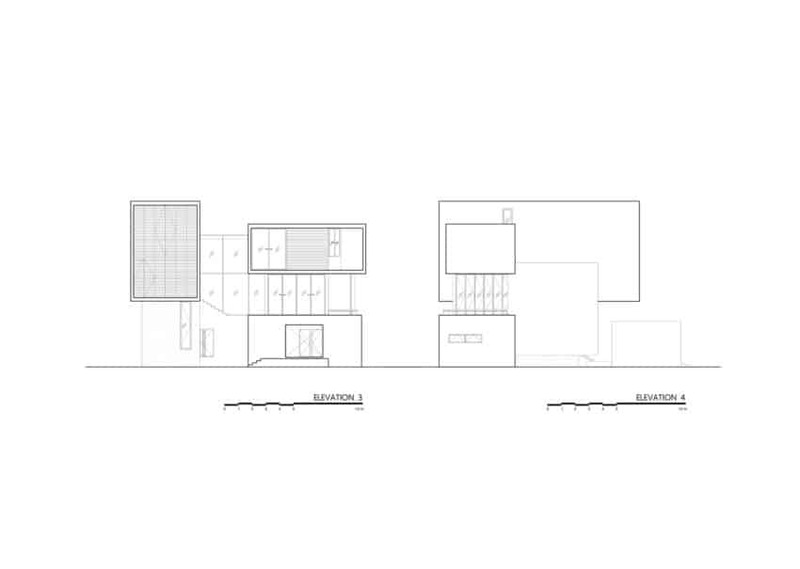 The area is enclosed and connected to the terrace, and features double height ceilings for the family room on the upper floor, which also connects to the outdoor terrace. 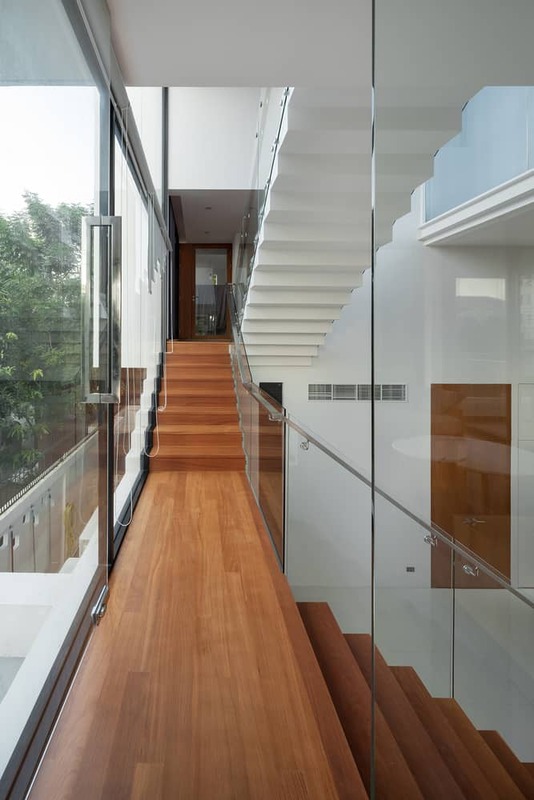 Such an open concept makes it so that everyone is in the house at all times. 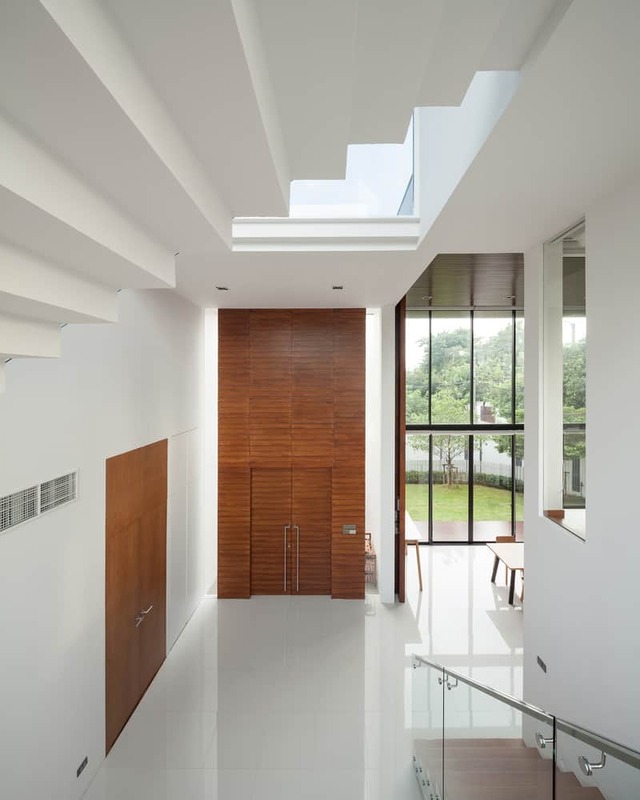 The skylight above the entrance hall allows natural light to flood the space, as well as the stairs that lead to the master bedroom on the second floor and the room and nursery on the third floor. 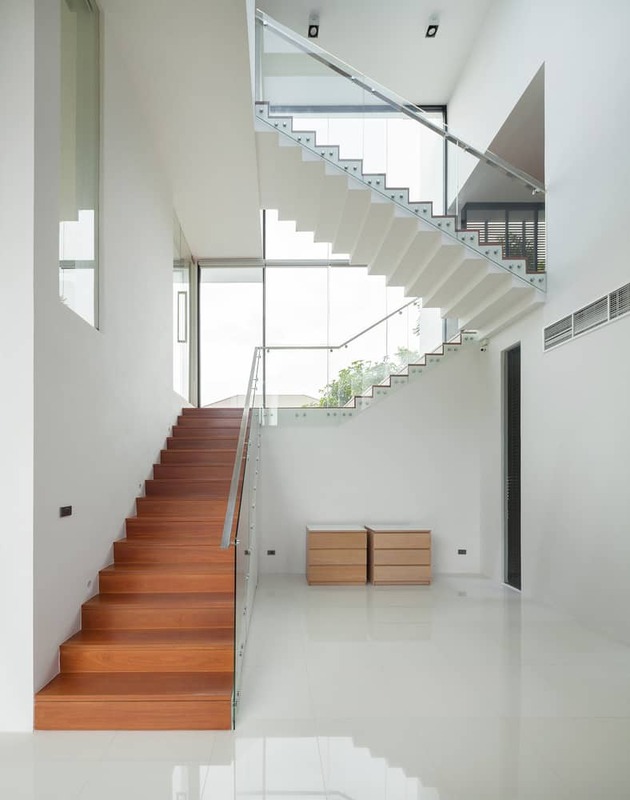 The master bedroom has a private staircase and is on the ground floor (second floor) and the bedroom is on the top floor (third floor).